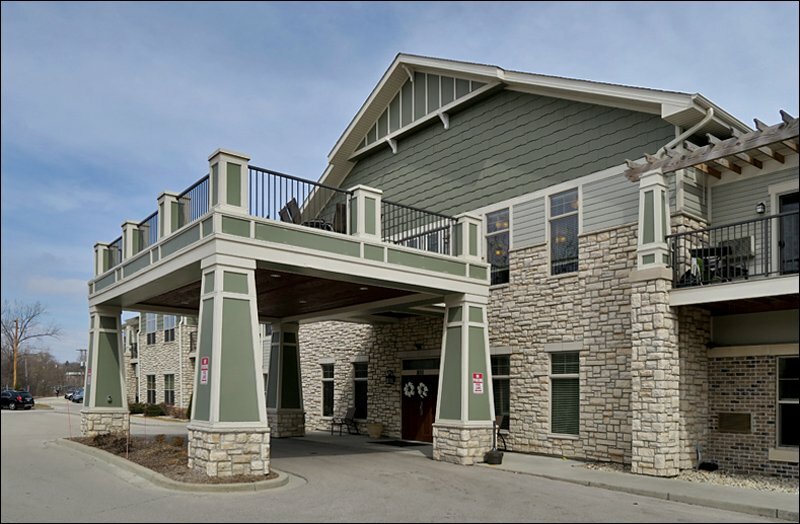 My first show in April required an early-morning trip to Milwaukee at the Ovation Jewish Home on Prospect venue. The audience this time was about 12 members of the R&R Club. The show went well. 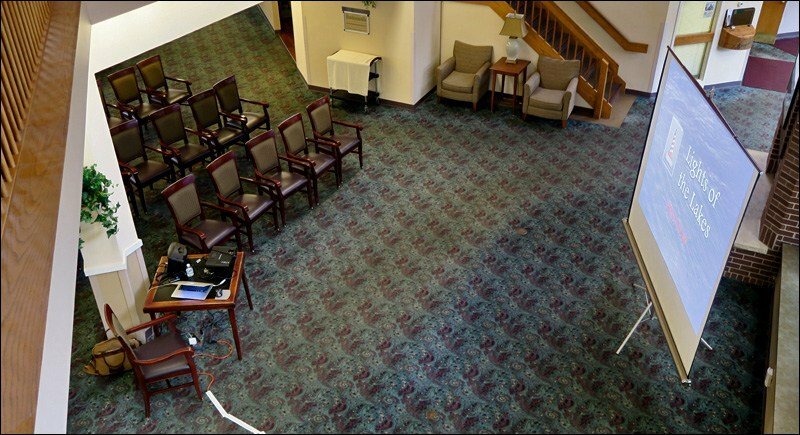 The audience didn’t come in until right around 10:30, and took their seats the Helen Bader executive conference room. The group was a mix of normal-looking and acting folks, and several with obvious health issues. 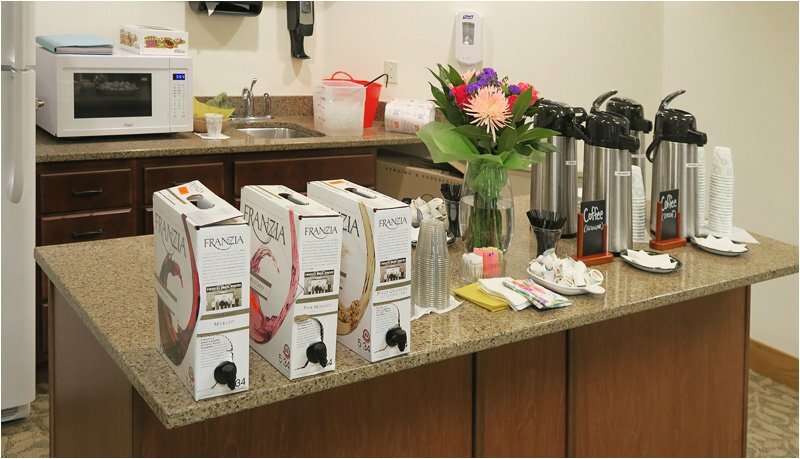 Pretty typical for a senior care facility. What surprised me was the fact that there were three or four men in the audience, and they were all alert and seemed to be very interested in the program. I got a lot of compliments afterwards. There was one unexpected disaster during the program. My foot bumped the surge protector/power strip under the table, turned it over, and shut it off. That killed the projector and sound system, which were plugged into that unit. I had to restart the projector and lost a couple minutes during the show as a result of this mishap. As I was packing up my gear to go home, a vicious wind cutting into me, it was snowing heavy flurries. No accumulation, but snow twice in the same week in April tests one’s patience. Some mild weather would certainly be welcome! 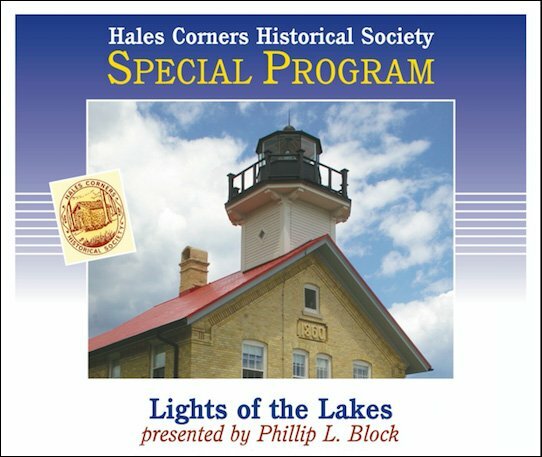 I left at 1:00 pm today, headed for Dickson Hollow to do today’s Lights of the Lakes show. It took me almost exactly my estimated amount of time to get there: 45 minutes. 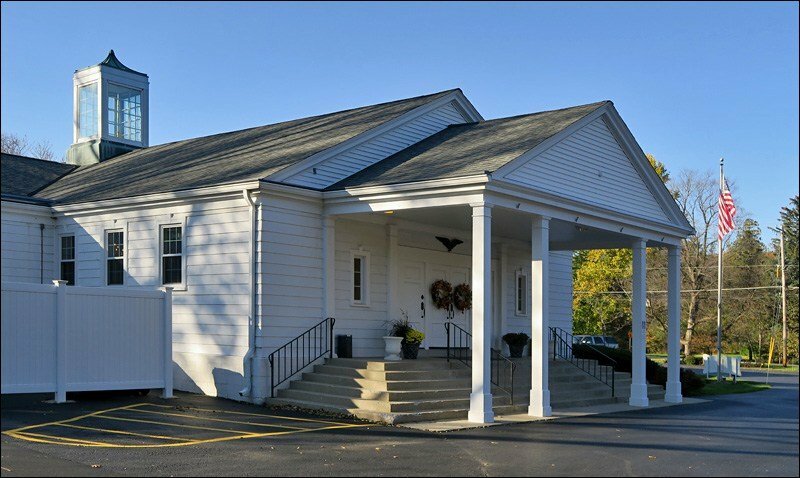 I got there right on time and quickly found the room where the show would take place. It was the back half of a large room also used as a chapel and church on weekends. 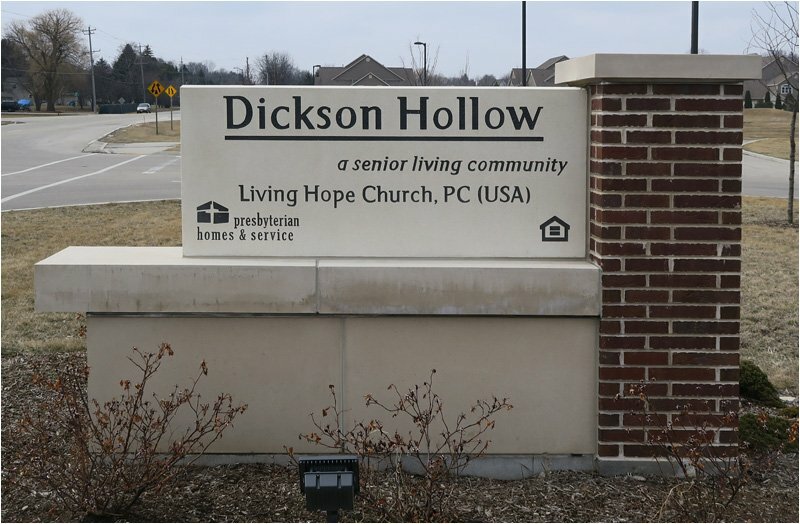 Since this was a Presbyterian Home facility, that makes sense. The altar was at the opposite end of the room from where I presented. I was able to use the house projector via an HDMI cable connection direct from my MacBook. There was a new type of projector I’d never seen before. It stuck out only a couple of feet from the wall above the screen, and projected down onto the screen. 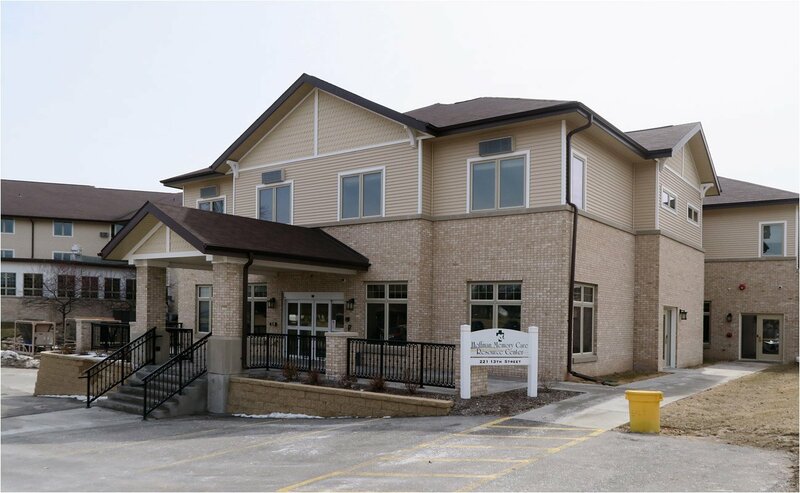 Today found me at the New Berlin Public Library at 9:00 am to set up for the ElderCare Focus Group Lights of the Lakes show. I was second presenter on their agenda. The first speaker was a woman who spoke on Wisconsin tourism and things to do and places to go to enjoy Wisconsin’s many attractions. The morning commute was a hassle. As usual, there was an accident on I-43 which stopped southbound traffic at Mequon Road. The crash occurred just south of Brown Deer Road. In addition to that mess, there were at least three other places where the traffic flow came to a halt on I-43 and I-94. I profoundly hate driving the Milwaukee area freeway system at rush hour. The show in New Berlin was a success. 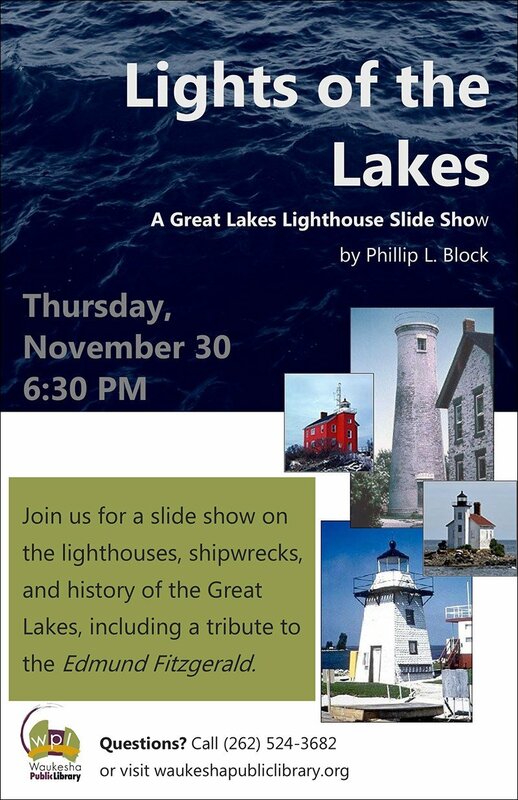 I didn’t do the Edmund Fitzgerald segment due to time restrictions, but everything else went well. 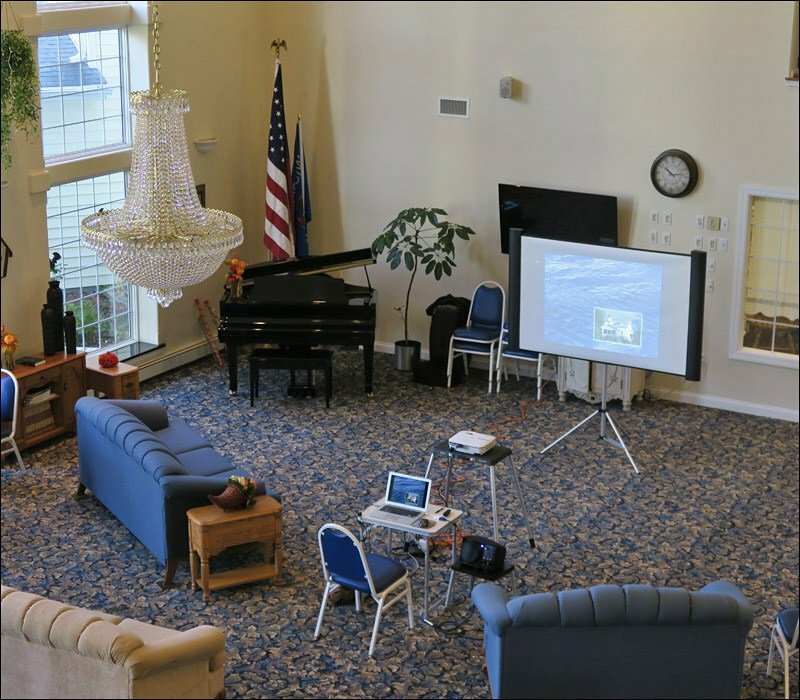 They had a great ceiling-mounted projector that threw a 12-foot-wide image on the screen—wonderful! About 75 seniors saw today’s show. On my way home, I went back to Dickson Hollow to get the location pictures I missed when I was there on Tuesday. I also stopped by Menomonee Place, the site of tomorrow’s show. I wanted to find the location, as well as take pictures of it, in case the weather is lousy tomorrow. Well, I’ve arrived at the last day of this busy week. 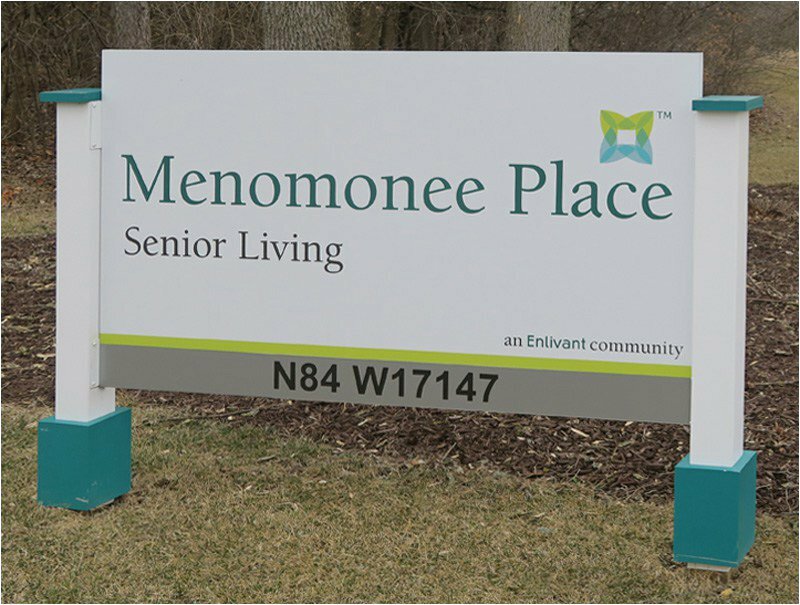 This morning I head out to do my third and final show of the week, at Menomonee Place in Menomonee Falls. As mentioned yesterday, I scouted this place the day before, in order to find it and photograph it in good weather. Next week will bring even more travel and more shows during this busy season for Lights of the Lakes. 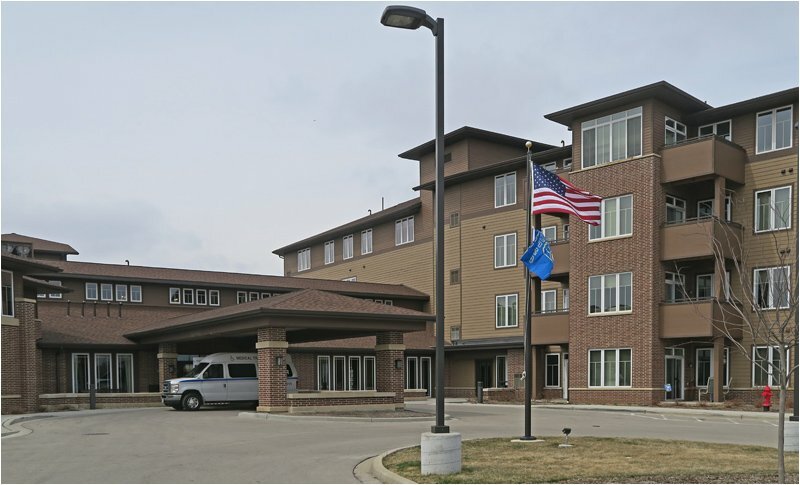 4:00 pm – Days Inn & Suites, Green Bay. 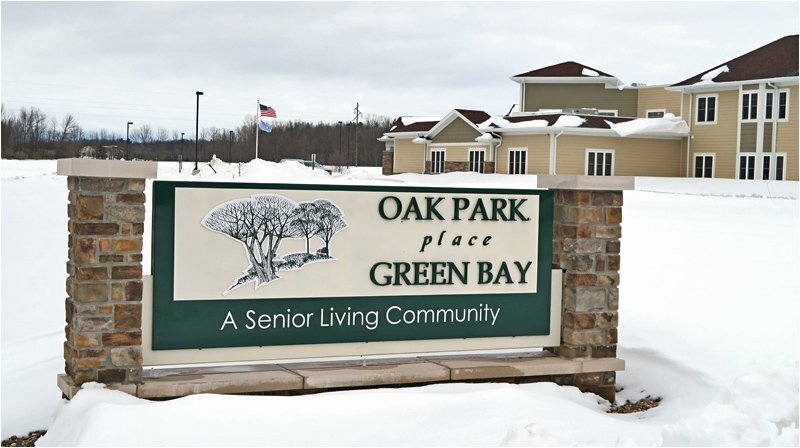 I left early enough this afternoon to get here with time to spare before tonight’s Lights of the Lakes show at Oak Park Place on the east side of Green Bay. I’m closer to downtown, about five miles away. I decided to spend the night here after the show, in order to avoid a long drive home late at night. This place really got dumped on over the weekend. I took a wrong turn getting to the motel and Google Maps directed me to take a side street to get back on track. That road was the pits: poorly plowed; rutted; narrowed by cars parked along both sides. At least the main roads are OK, but in poor shape. It’s obvious that a lot of work is needed, at least on Mason Street, which is a main east-west thoroughfare in Green Bay. Later – The show was a success. Big crowd: about 70 people. 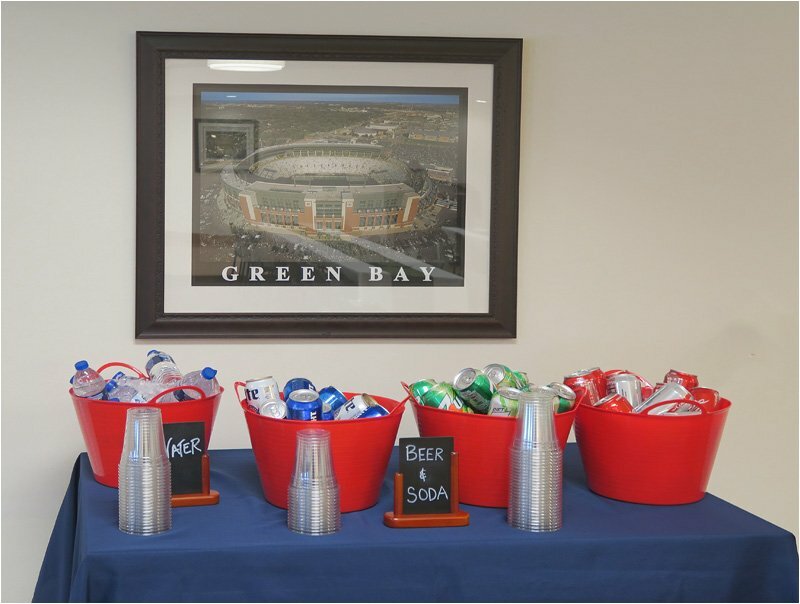 The best “refreshments” I’ve ever seen a host provide: sandwiches, chips, lighthouse-decorated cookies, soda, beer, wine, and coffee. 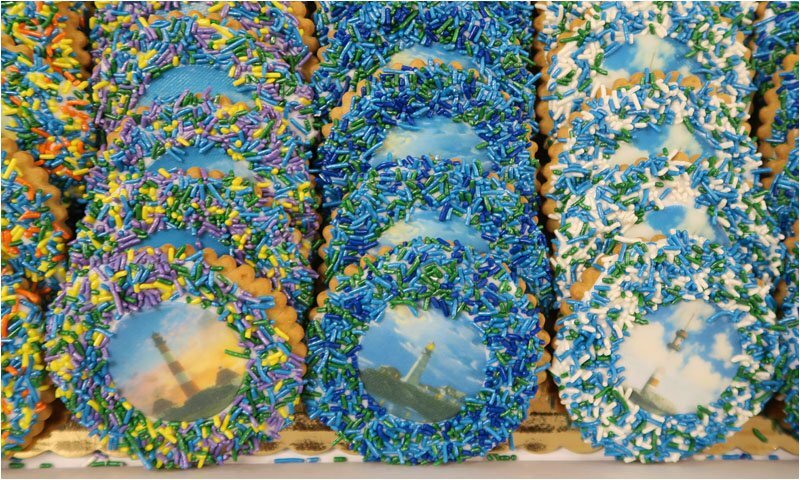 Amazing spread! I deliberately skipped dinner, as I often skip meals before I speak. 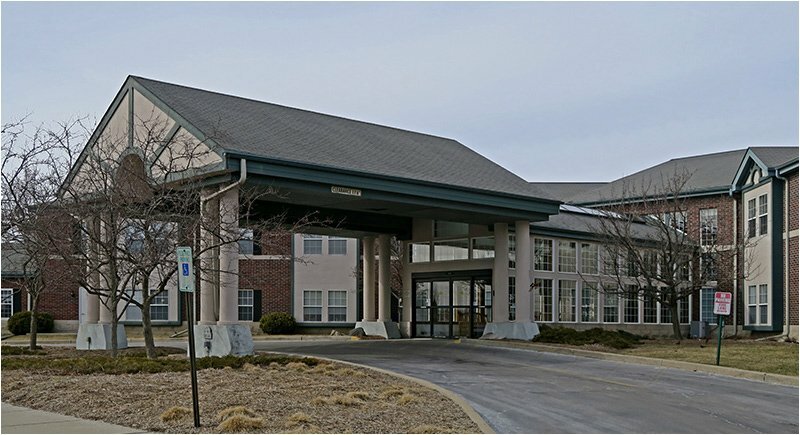 This was another of those show-off events intended to draw potential residents to the facility. My host, Tonya Slack, offered facility tours after my show. On the way back to the motel, I heard on the radio that Barbara Bush died today at age 92. She was married to George Bush (41) with whom she held the record for the longest marriage of an American president: 72 years. Incredible first lady. 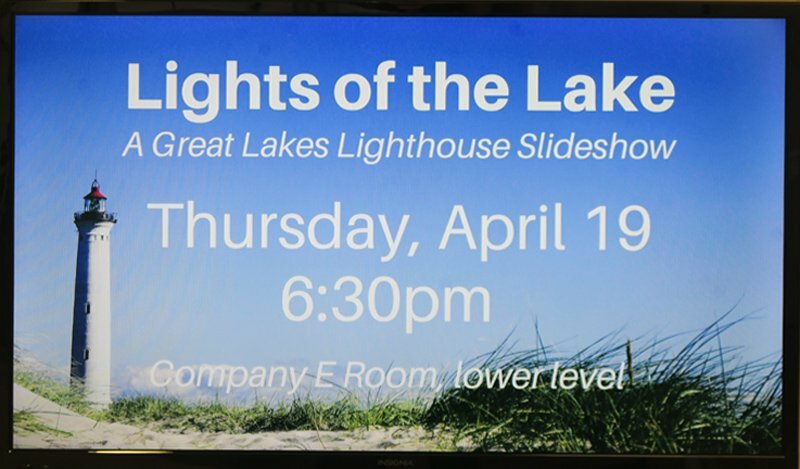 Thanks for your fantastic presentation of the lighthouses on Lake Superior and Lake Michigan. 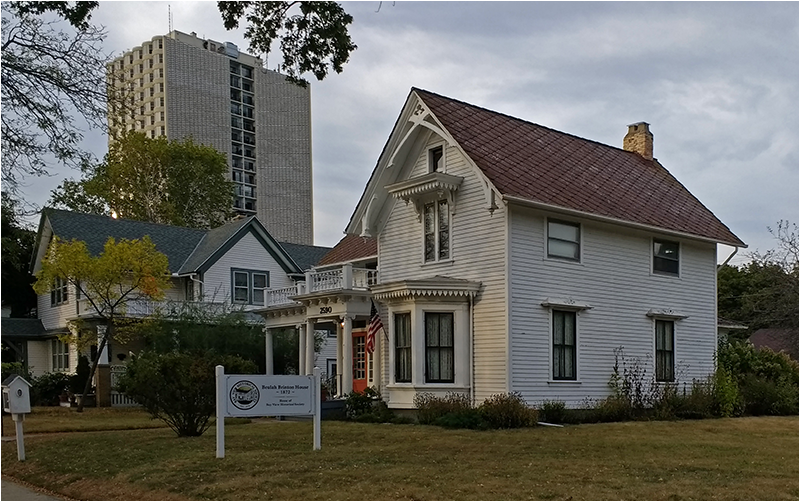 The Library staff, attendees and the Menasha Historical Society were very enthusiastic in telling me how informative your program was. 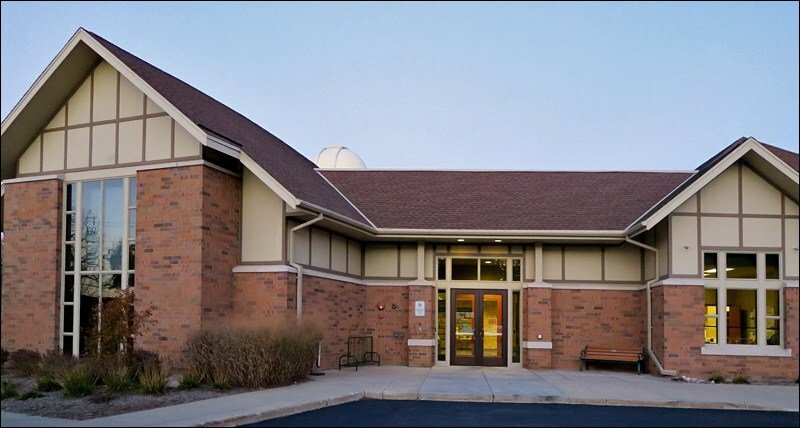 The Library informed me specifically that they would like to co-host future programs with us again. 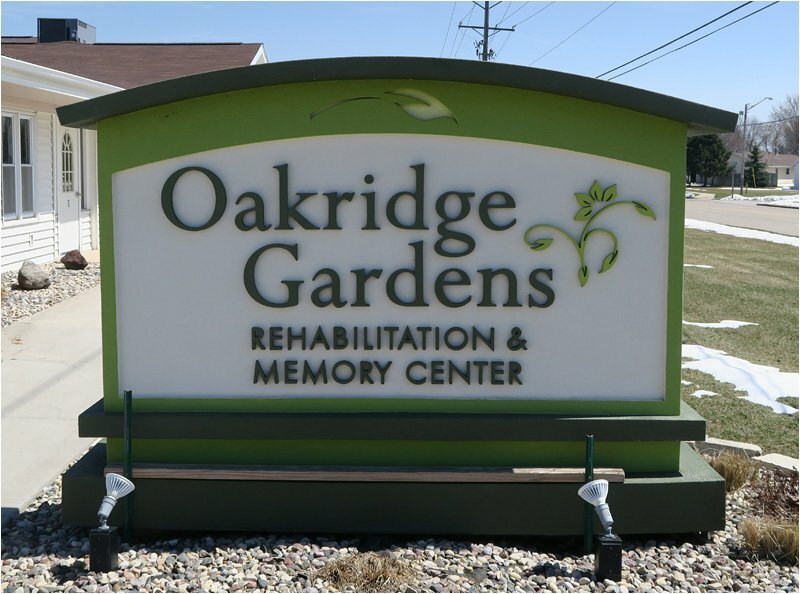 The final Lights of the Lakes show in April took place on the 19th at Oakridge Gardens Rehabilitation and Memory Care in Menasha. 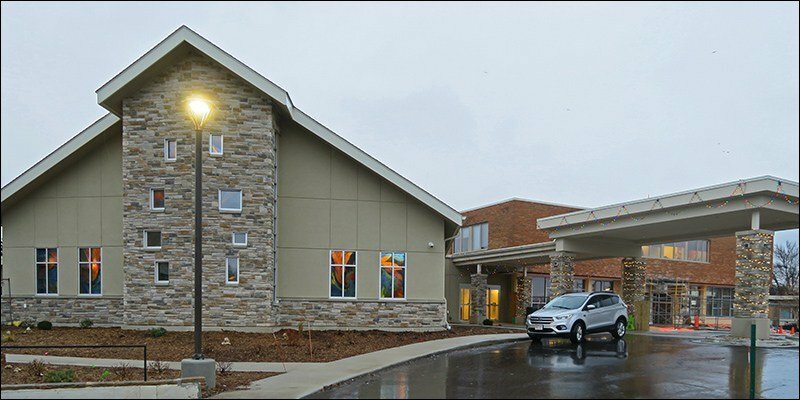 This was a small facility, which yielded an audience of about 15 seniors. 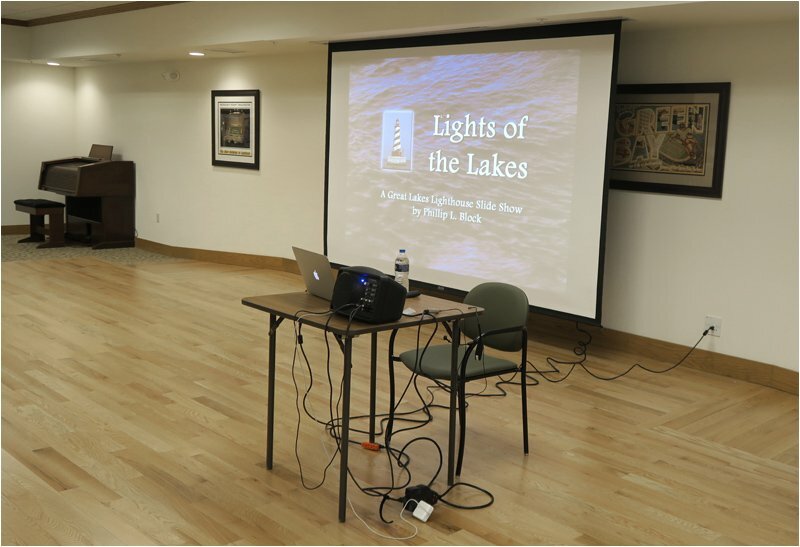 On Thursday, March 29, 2018 a sequel presentation of Lights of the Lakes was presented at Heritage Elm Grove. 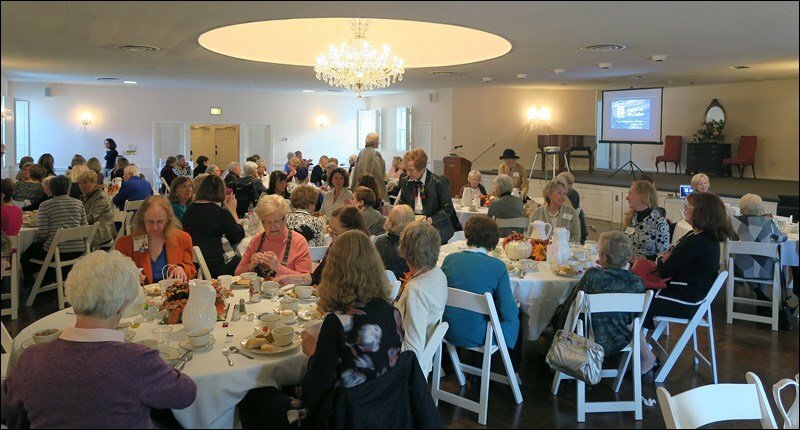 The popularity of last year’s presentation led to a repeat booking. Around 30 residents and guests enjoyed today’s show. 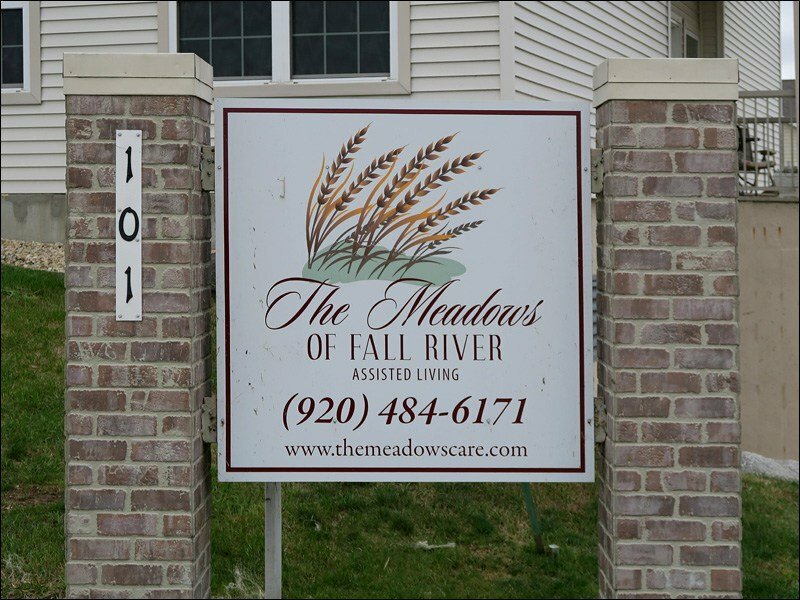 The show was promoted to residents by the flyer shown below. 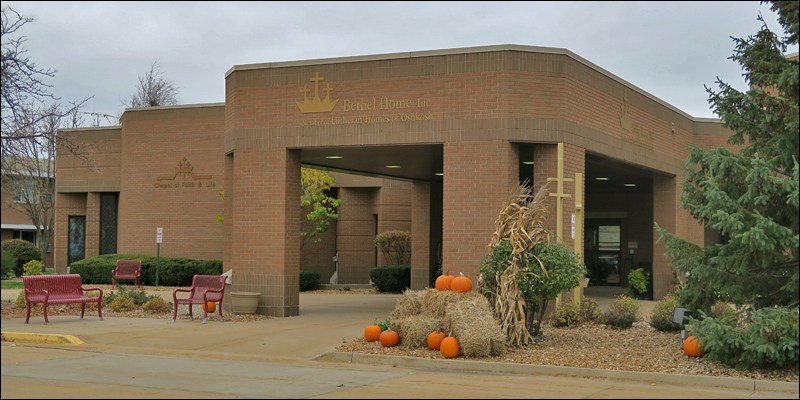 St. Paul Elder Services in Kaukauna, WI was the host for two Lights of the Lakes shows on March 26, 2018. 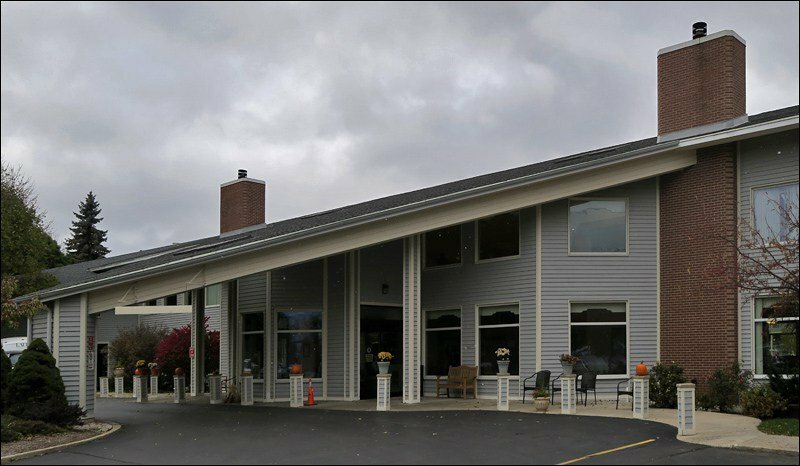 The first program was presented in the morning to an audience of about 15 residents and guests at the Hoffmann Memory Care Resource Center (above). 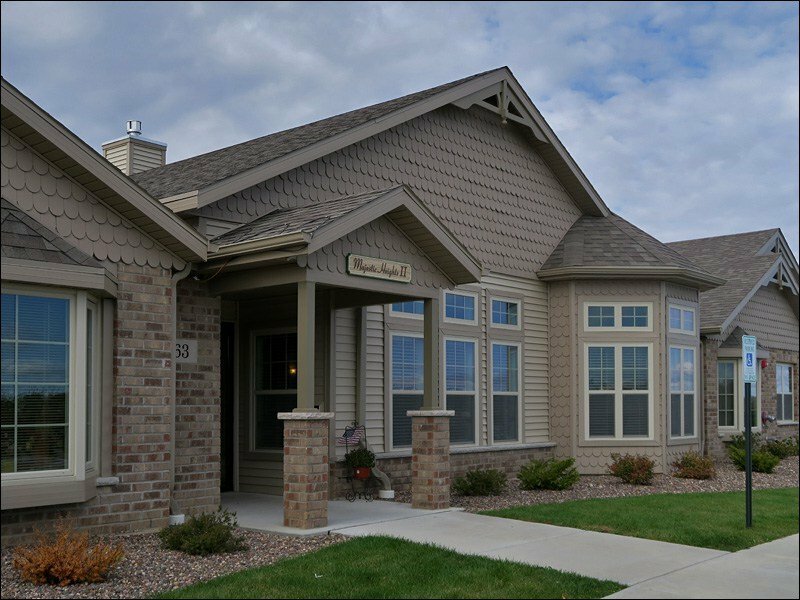 The second program was presented in the audience to an audience of about 30 residents at the St. Paul Home (above). 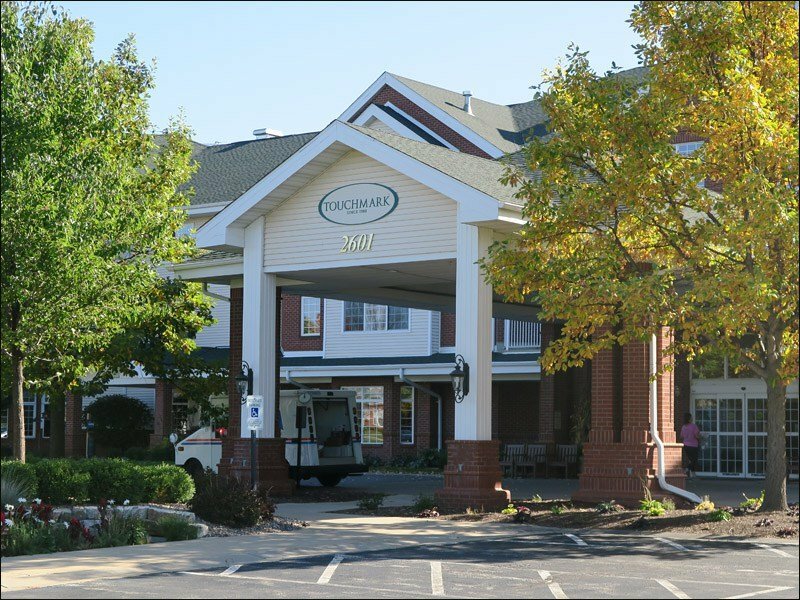 ProHealth Care Regency Senior Communities is a prominent chain of retirement residences located in the western suburbs of Milwaukee. 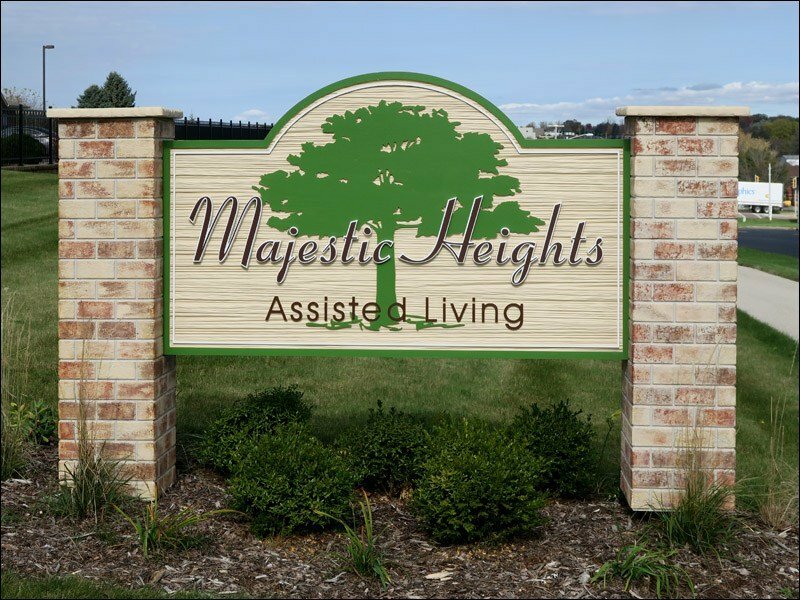 It was my pleasure to present Lights of the Lakes three times this week at the Muskego, Brookfield, and New Berlin locations. The shows were all open to the public. 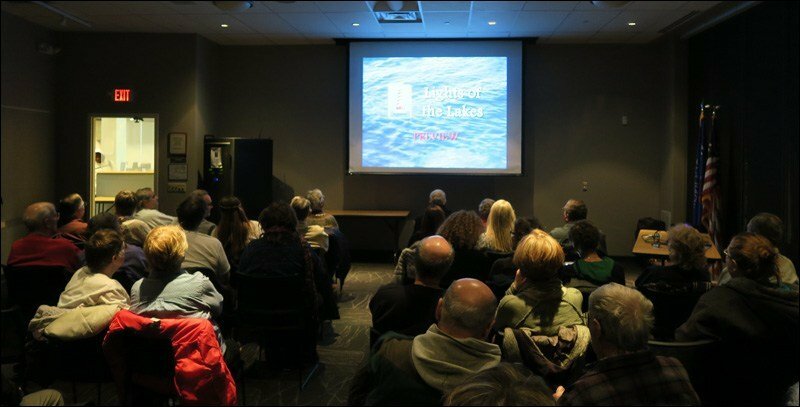 On Tuesday, 3/20/18, Lights of the Lakes was presented in The Lodge at Regency Muskego. An audience of 37 seniors and guests from the Muskego area attended today’s show. 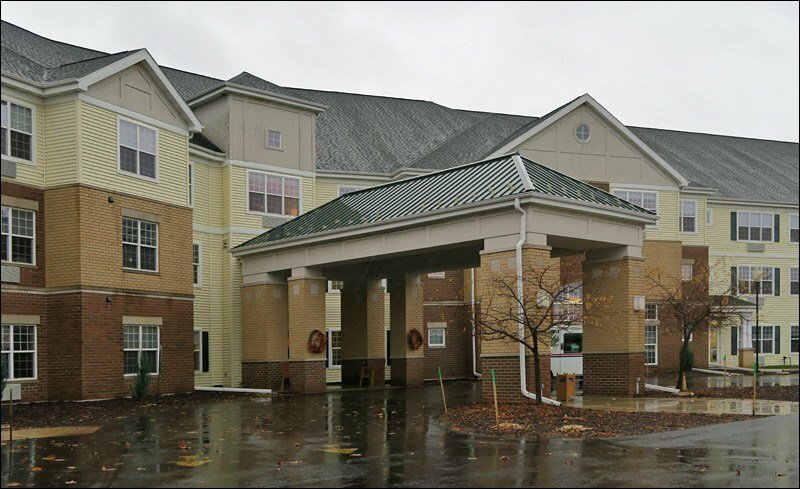 On Thursday, 3/22/18, Lights of the Lakes was presented at Regency Brookfield. 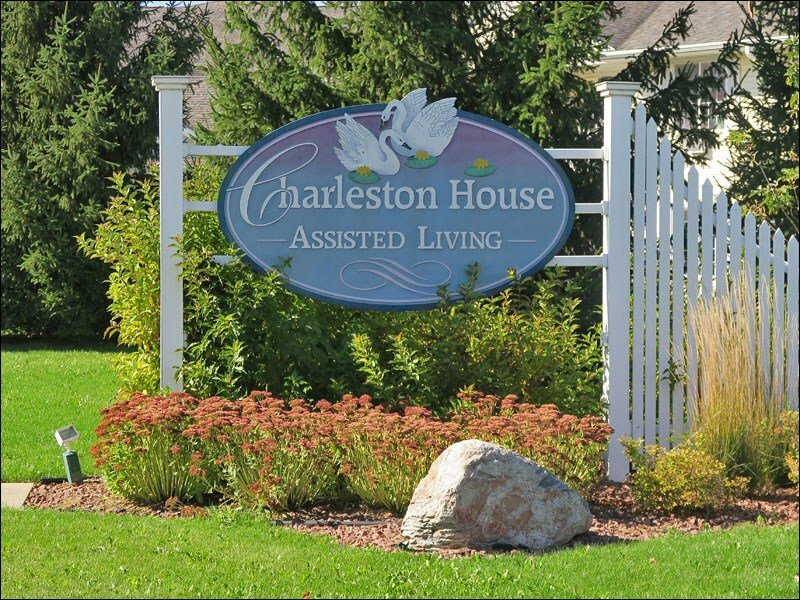 An audience of 27 senior residents enjoyed today’s show. 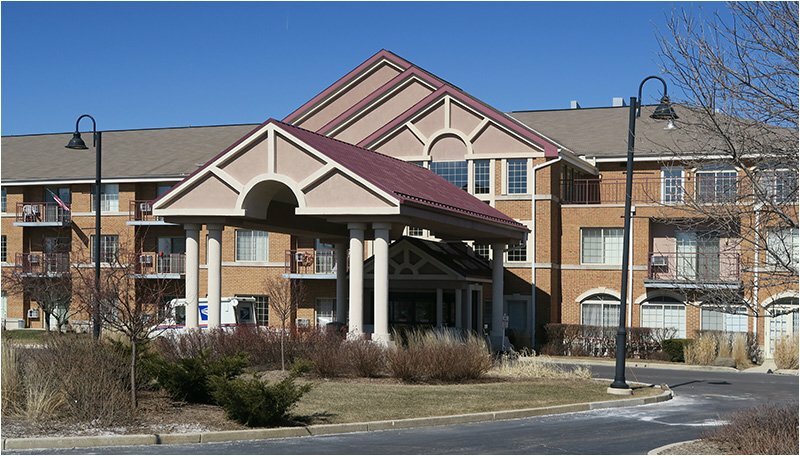 On Friday, 3/23/18, the final Lights of the Lakes show of the week was presented at Regency New Berling. 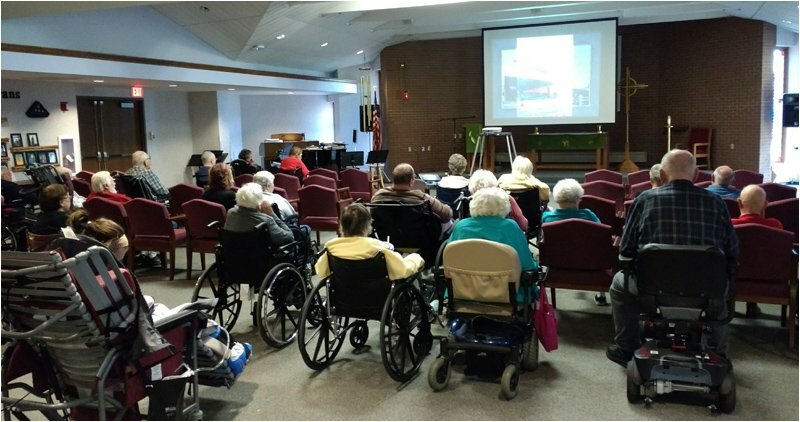 Again, an audience of 27 senior residents enjoyed today’s show. On a very unusual weather day for January in Wisconsin, I headed out to Oshkosh to do the first Lights of the Lakes show of 2018. It was drizzling when I left Port Washington, but by the time I was north of Fond du Lac, a steady rain had set in under a dark, ominous sky. It was almost 50º, but that warmth wasn’t going to last. By the time I got ready to drive home, the temps had dropped to near-freezing, and the rain had turned to sleet. Thankfully, the roads weren’t icing up, although the salt trucks were out. I got behind two of them on my way home. I’m very grateful that I made it home safely, as hazardous driving conditions are what I least like about winter travel. 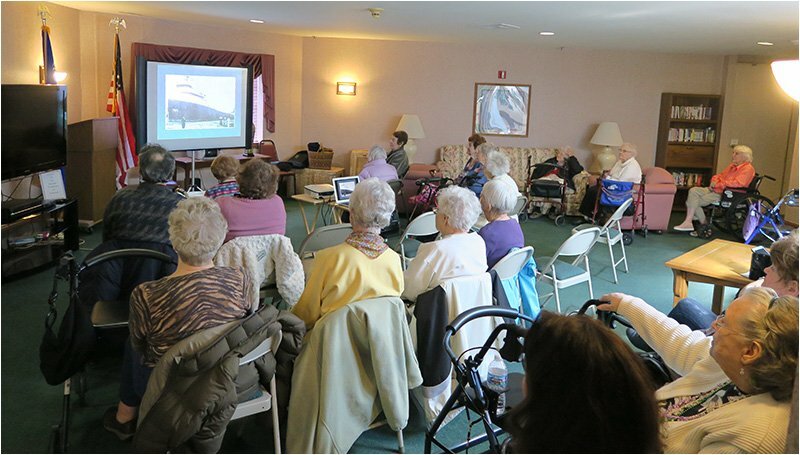 About 30 Evergreen residents enjoyed today’s show. They were a responsive and appreciative audience, which I always appreciate! 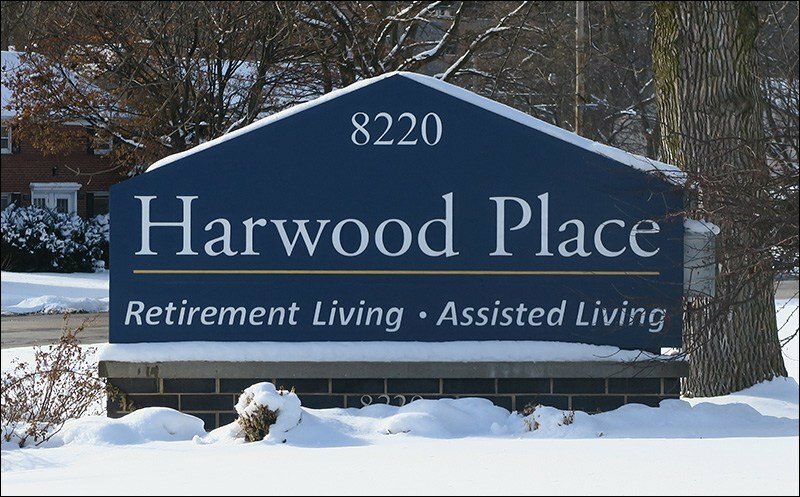 Originally scheduled to take place in October, 2017; rescheduled for December, 2017, and rescheduled again for January, 2018, I finally got to present Lights of the Lakes at Harwood Place, a large senior community in Wauwatosa, WI. As you can see in the above photo, we were back to normal winter weather following last weeks warm spell. Driving to this destination was uneventful, and the temperatures were relatively mild, which made for an enjoyable trip. 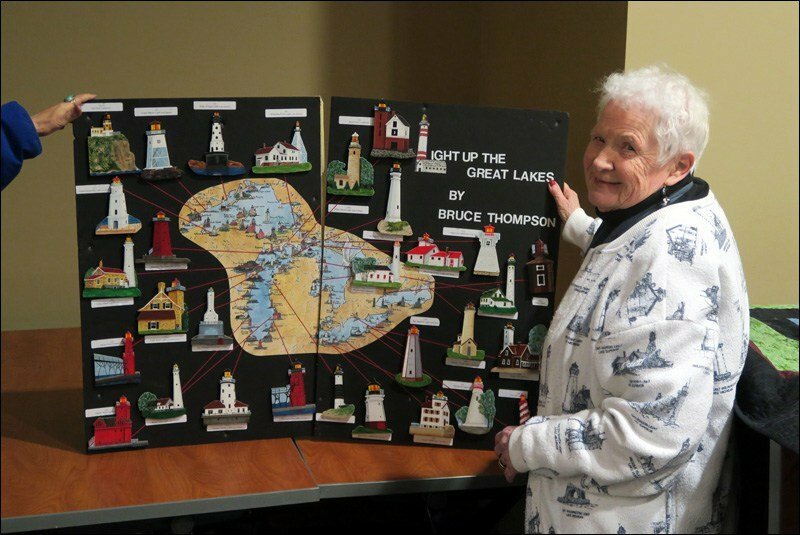 Around 45 seniors enjoyed today’s presentation of Lights of the Lakes. They were engaged with the program, asked lots of questions afterward, and were a pleasure to work with. 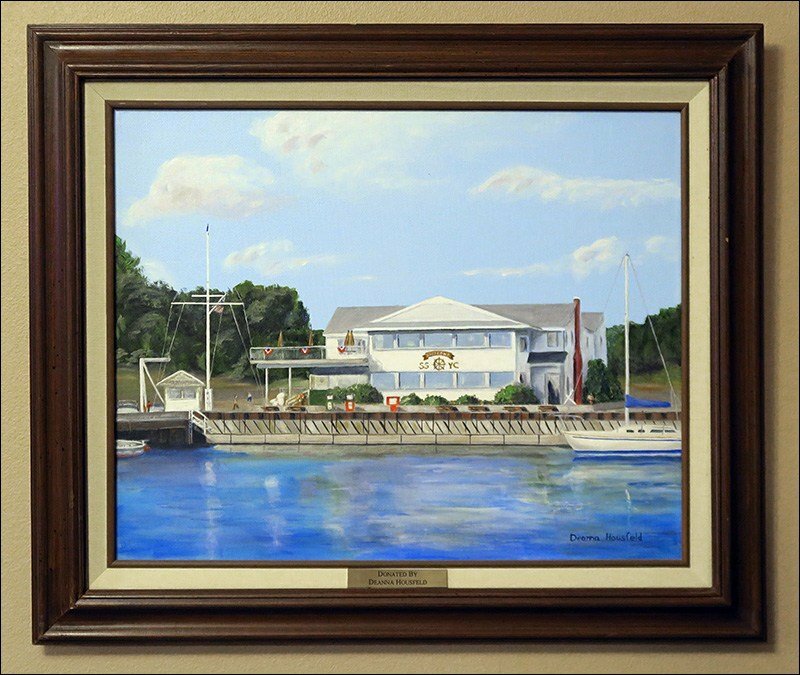 January ended with a return trip to South Shore Yacht Club. 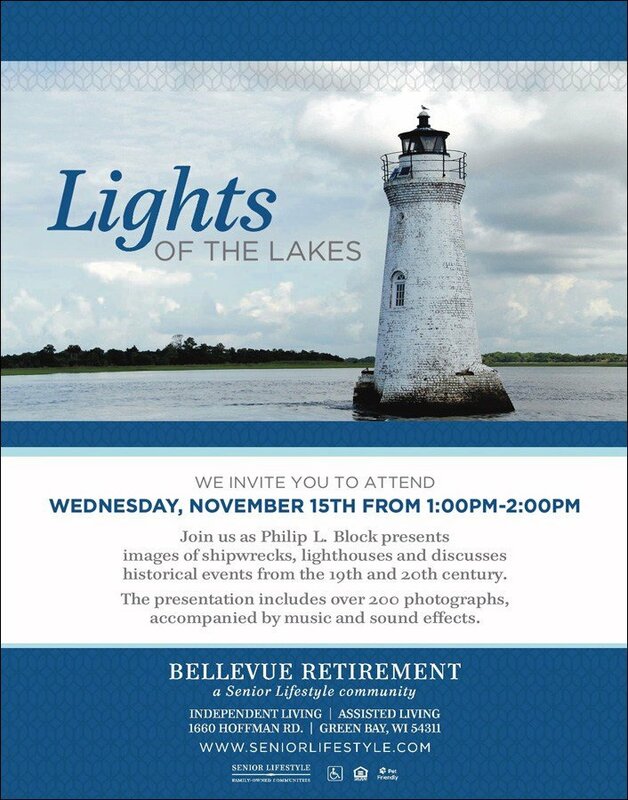 This was the fourth time I’ve been invited to present Lights of the Lakes to SSYC members. Previous shows were presented in 1992, 1996, and 2014. When I booked the show, I was afraid that some of the older members would object to repetitive presentations of the show. However, club membership changes, and so does Lights of the Lakes. The show is continually refined, updated, and polished as opportunities present themselves for me to do so. The largest audience so far this year enjoyed the show: 65 people. 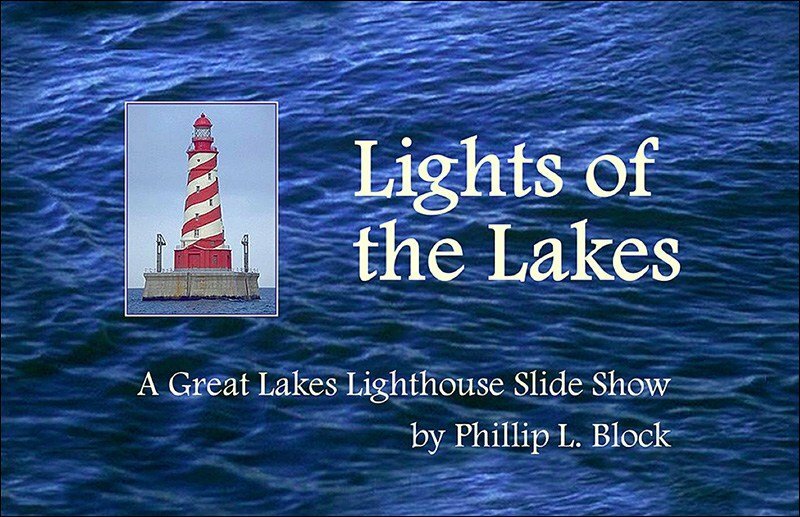 Because they were all boaters, many of them had seen various lighthouses in the show during their boating travels. Boat and yacht clubs make great audiences for Lights of the Lakes, and this was no exception. They loved the show, and I loved presenting to such an appreciative audience! A new page has been added under the ABOUT menu: Past Sponsors. The page lists over one hundred past sponsors of Lights of the Lakes programs, organized into categories. 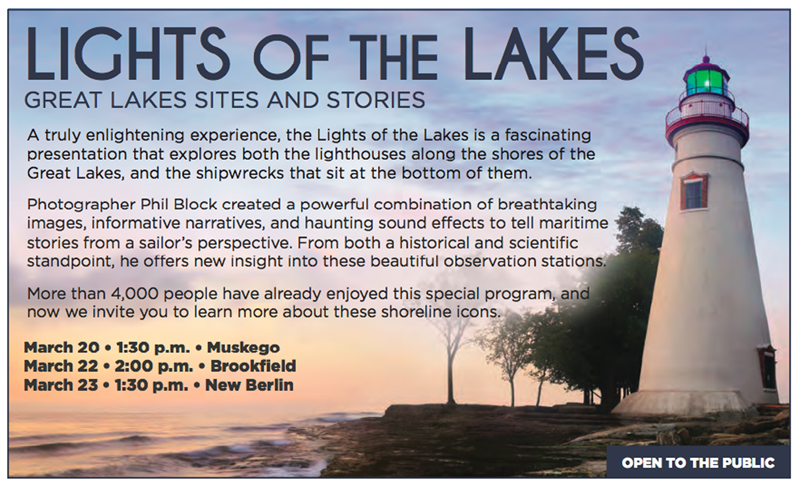 November continued October’s hectic pace for Lights of the Lakes programs. 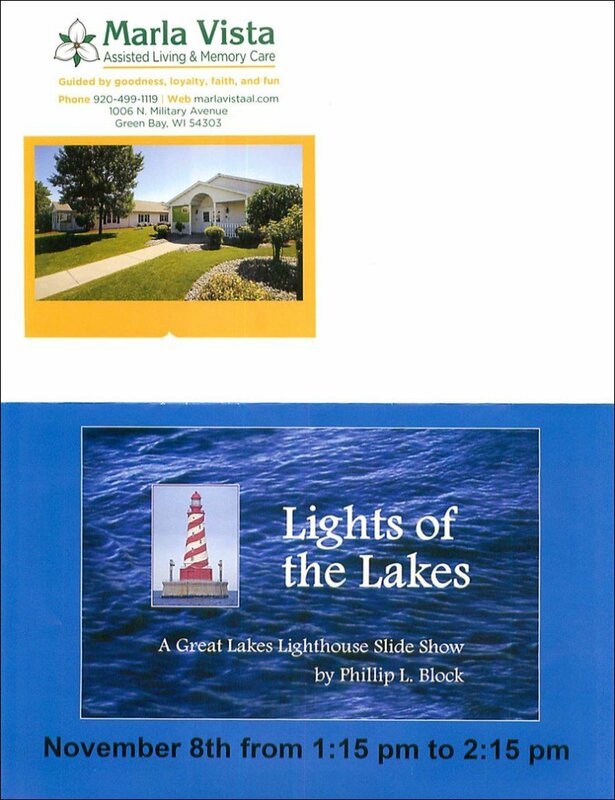 My first Lights of the Lakes show of the month drew one of the biggest audiences in a long time: 105 women. Except for a guy who was part of the catering team, I was the only male present. I joked about being the “token male.” This was one of the most alert and responsive audiences I’ve enjoyed working with in a while. 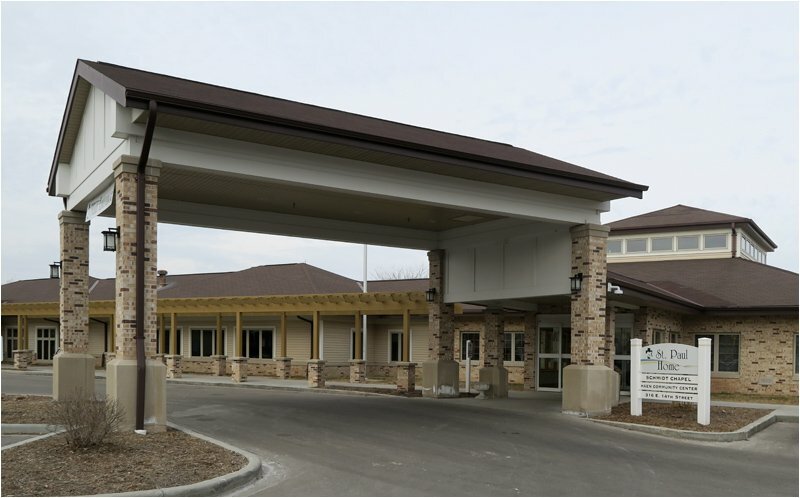 Marla Vista is a small assisted living and memory care facility on the north side of Green Bay, WI. I visited this location on a bright but cold day in early November. About 15 Marla Vista residents enjoyed Lights of the Lakes. 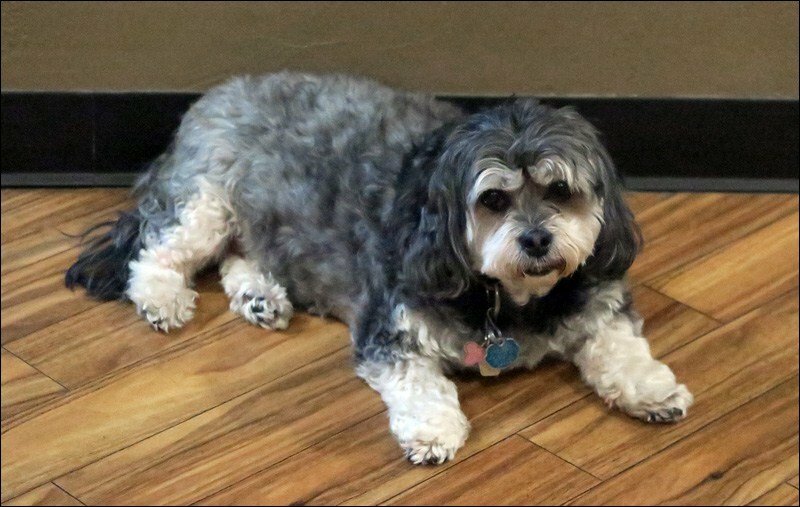 At Marla Vista, I had a surprise guest: the house mascot, Monkey Moo. This friendly pooch came up to greet me as I was getting ready for the show. 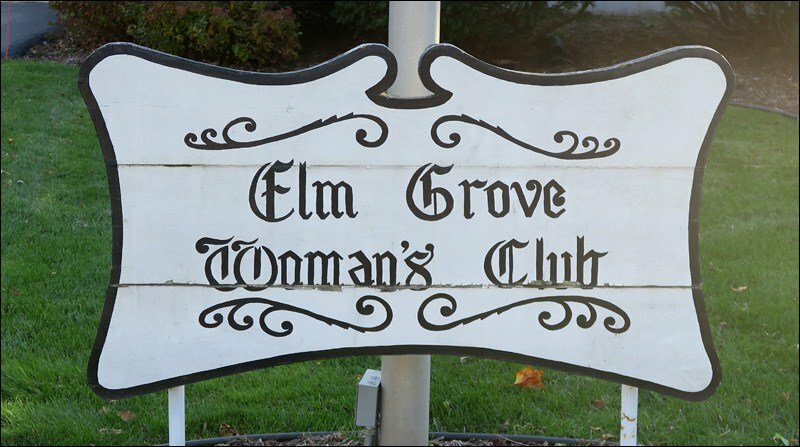 She must have been curious about the guy setting up all that strange equipment in the Activity Room. Quoting the Marla Vista web site. 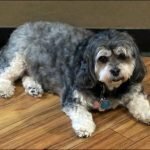 Monkey Moo is a nine-year-old Shih Tzu/Poodle mix. 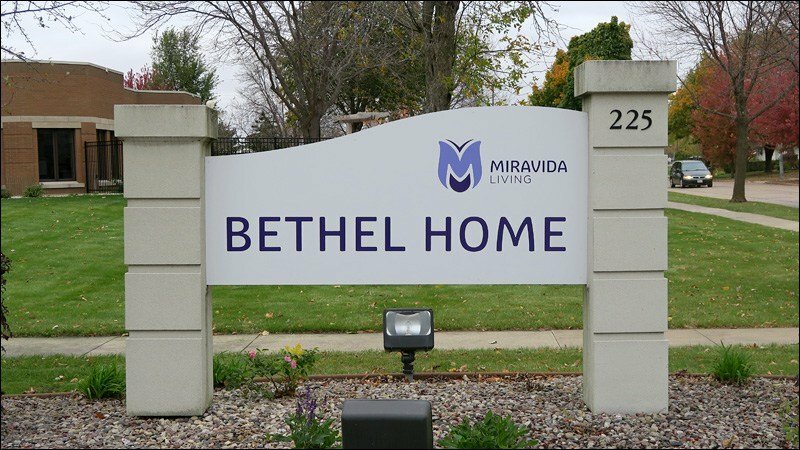 She has lived at Marla Vista since May 2017. 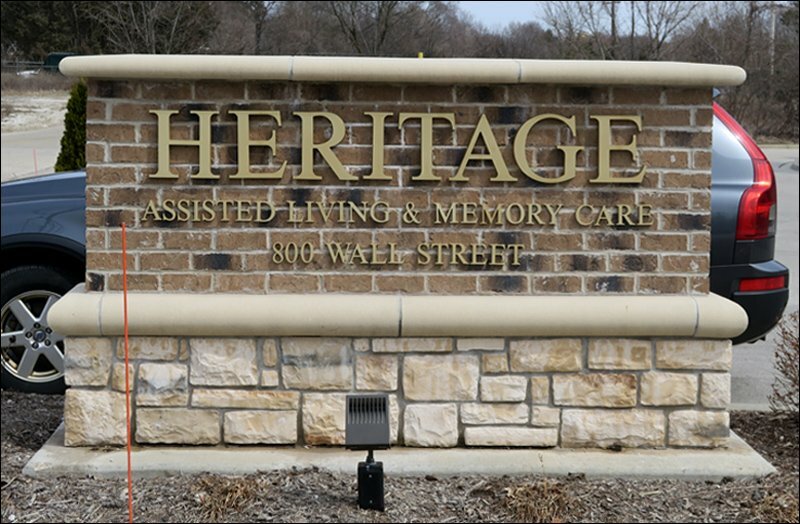 In her free time she enjoys visiting with elders, sleeping, eating and taking walks. Monkey gets along with everyone including people, other dogs, and kittens. 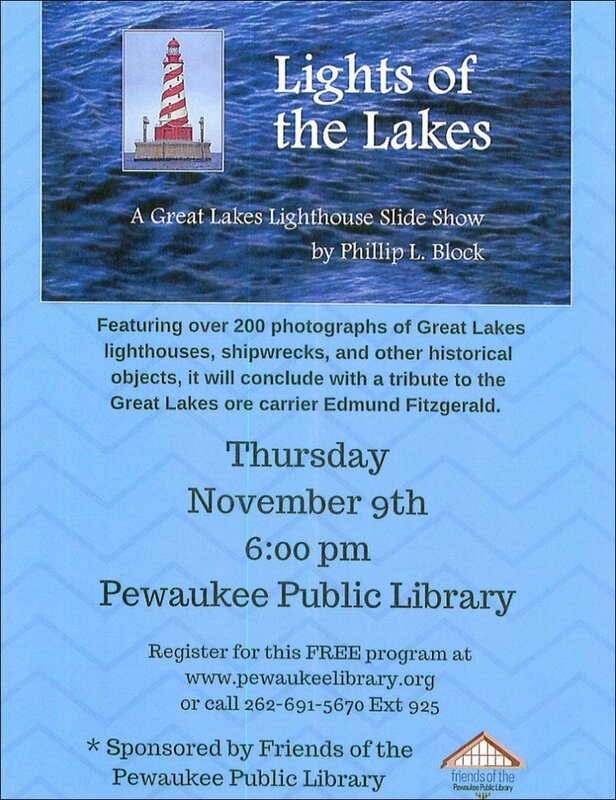 Today’s journey took me to the Pewaukee Public Library to present Lights of the Lakes in a 6:00 pm public showing. 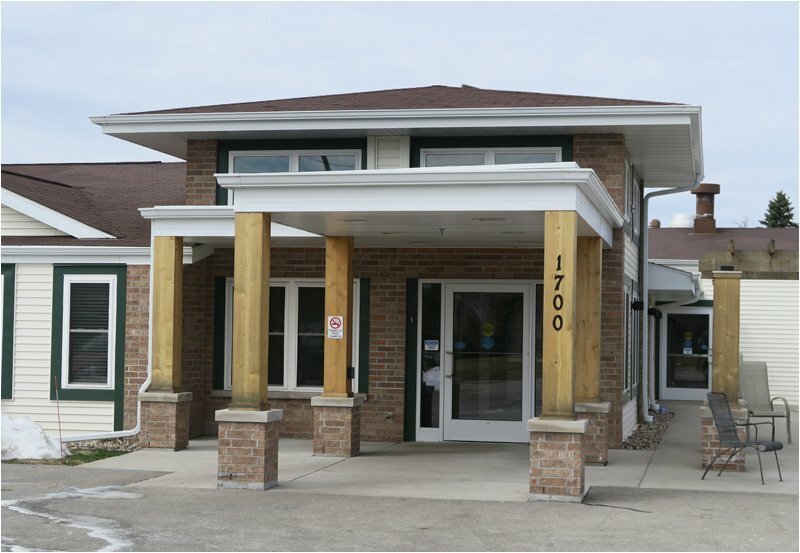 The program had been promoted online and in local media outlets by the Friends of the Pewaukee Library. 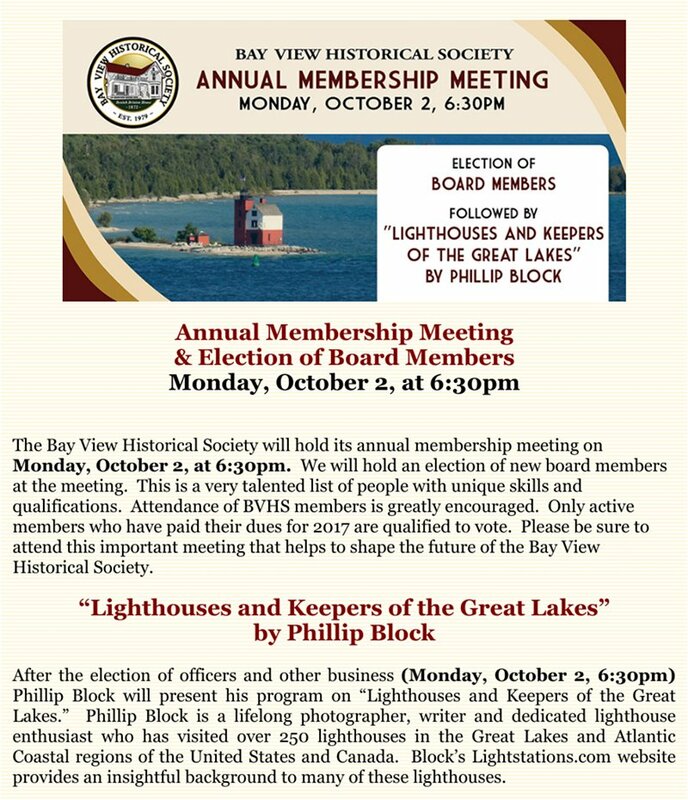 Library staff also created the flyer shown below, which resulted in a great turnout of around 60 lighthouse enthusiasts. 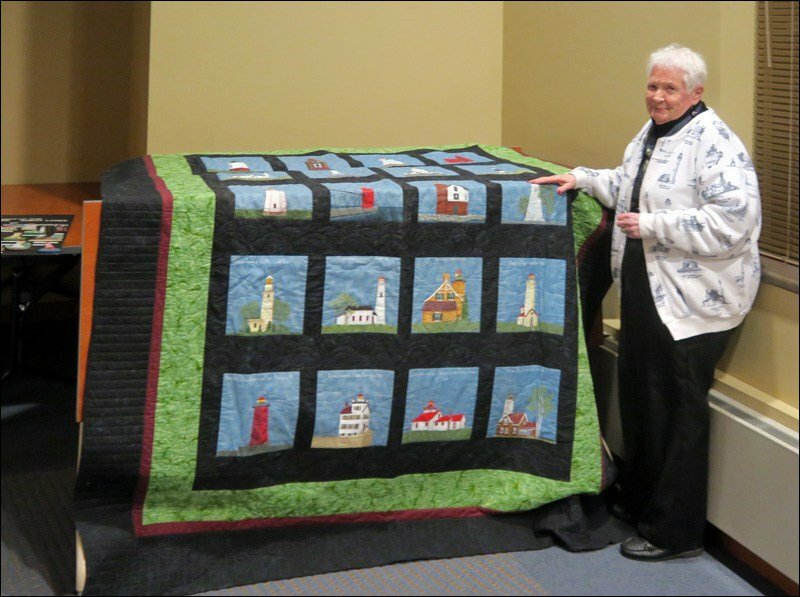 One elderly woman, Joyce Thompson, even brought a handmade quilt she had made and lighthouse artwork created by her late husband, Bruce. I brought a smile to her face by telling her she got “extra credit” for wearing lighthouse clothing. I really felt like was on the top of my game at tonight’s show. The interested, responsive audience brought out the best in me during my presentation. 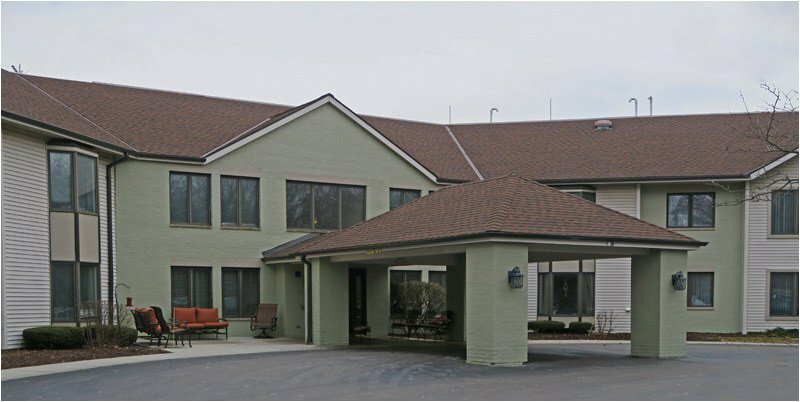 Under an overcast sky that was dropping the first snow flurries of the season, my final trip of the week took me to Laurel Oaks, an independent and assisted living community in Glendale, a North Shore Milwaukee suburb. Around 35 seniors attended Lights of the Lakes here. Laurel Oaks had a balcony overlooking the great room where the show was presented. I went up to the second floor and took a picture of the setting at this location. Opportunities like this one bring out the photographer in me. I like to get shots from unusual angles such as this one. 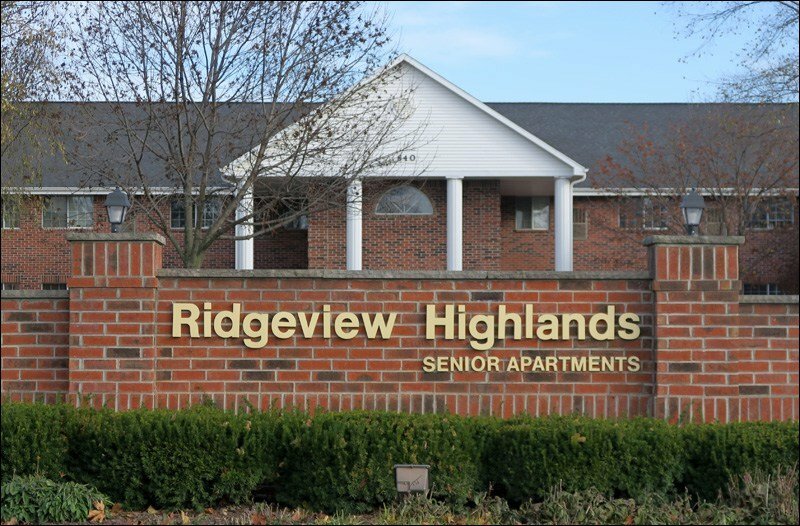 To deliver this week’s first program, I traveled to Appleton, destination Ridgeview Highlands Senior Apartments. 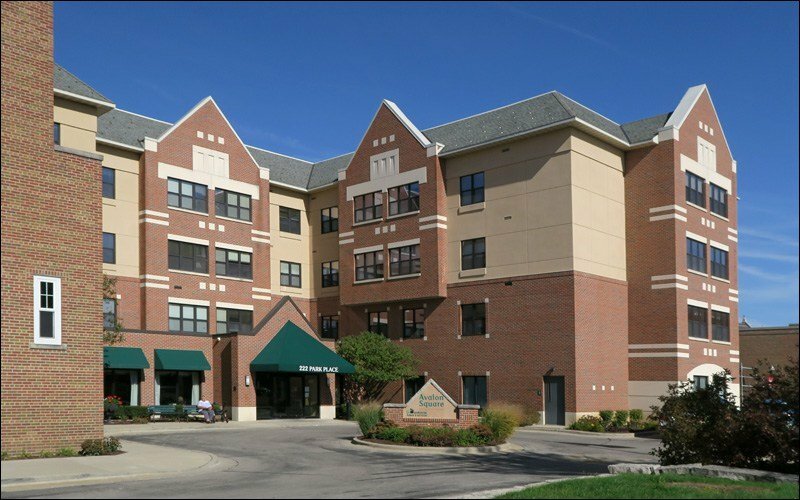 This was a large independent living senior apartment complex. 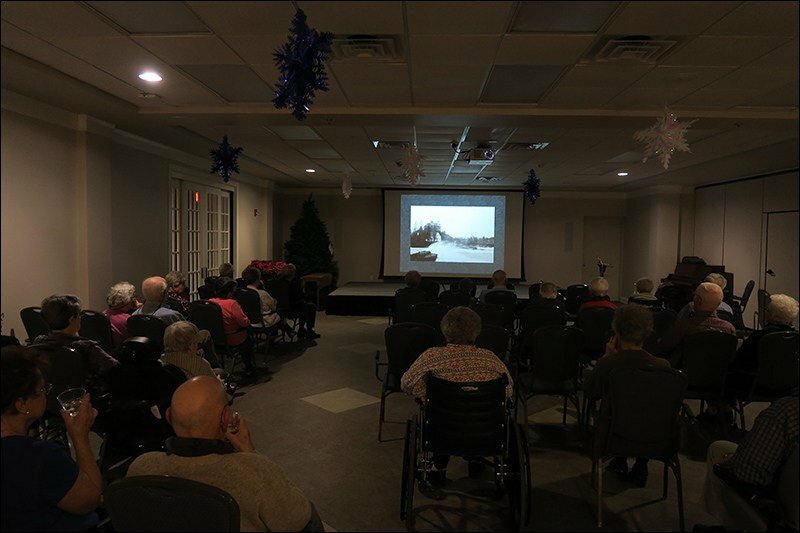 A group of about 60 seniors gathered in a large special event room to enjoy Lights of the Lakes. They were a very interested and engaged audience, which brings out the best in me as a presenter. 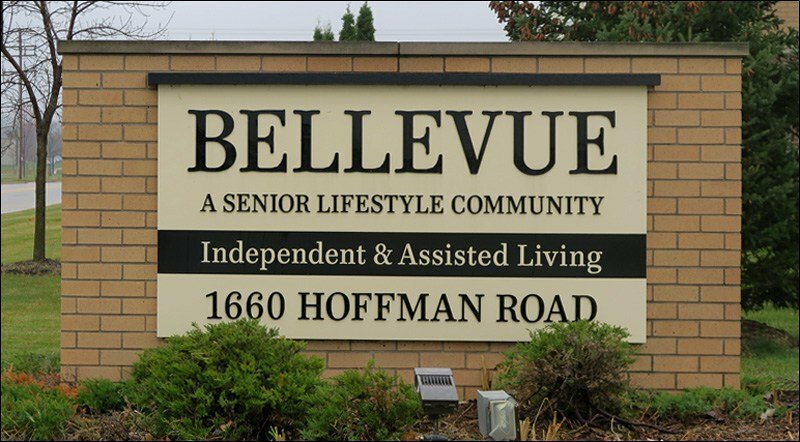 On a wet mid-November morning, I headed out for Green Bay, destination Bellevue Retirement Community. The drive up was tolerable: light traffic and intermittent drizzle under overcast skies. 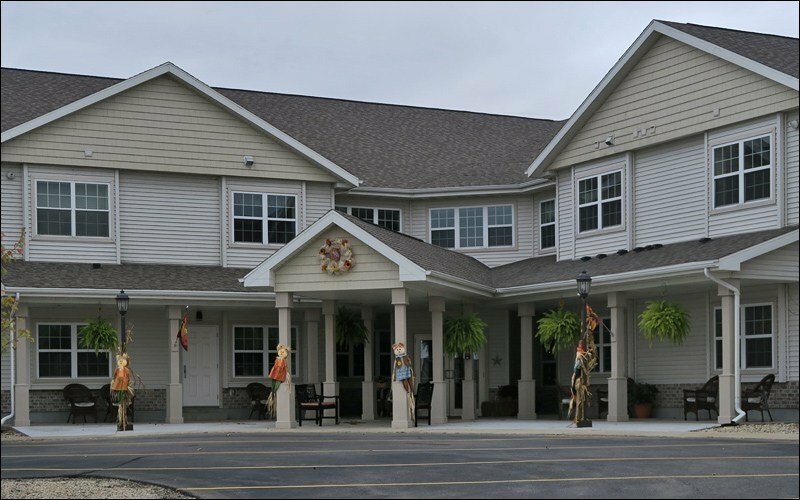 Lights of the Lakes was presented to a rather small group, given the size of this facility – about 15 residents. Several left before the hour-long program concluded. Those who stayed thanked me and said they enjoyed the show. The drive home was ugly: light traffic, but steady rain and mid-40s temps for the first half of my return trip. A strong crosswind had come up as well, making driving more challenging. By the time I got home, I was grateful for safe travel and for having had the opportunity to share another program with another audience in another place. 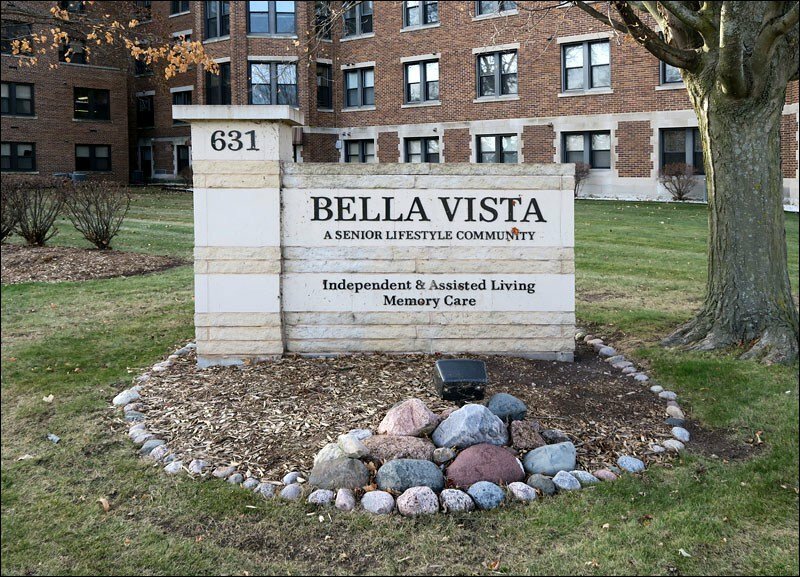 On November 28th, I traveled to Oshkosh, destination Bella Vista Independent and Assisted Living. The drive up was uneventful: mild temps and no precipitation—a pleasant day to go for a drive. 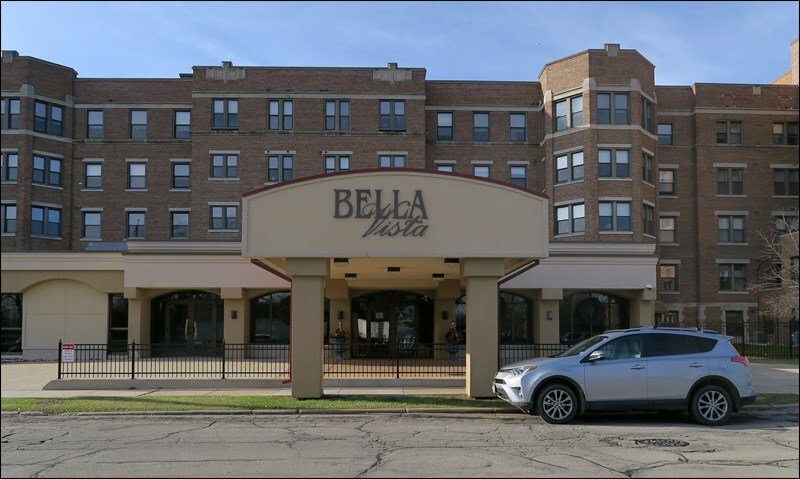 Upon arrival, I found myself at an older apartment building near the shores of Lake Winnebago. 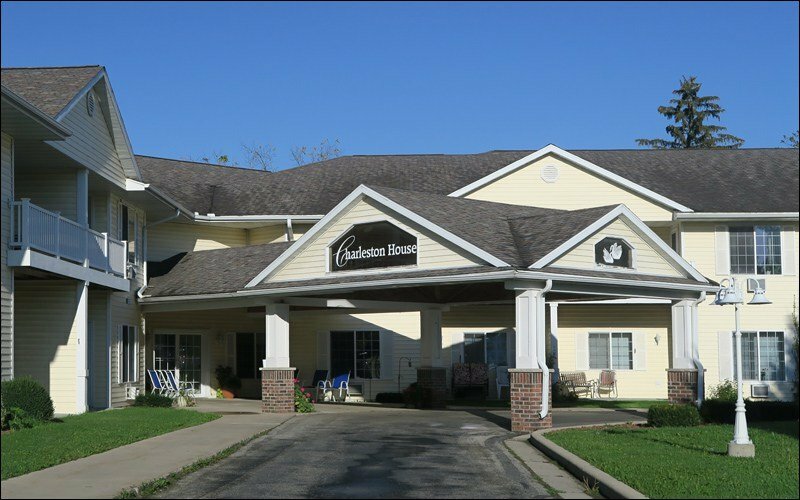 Additions have updated it to become a modern, full-service senior living community. When I arrived, I was surprised to literally see my name in lights. For the first time, my program appeared on an electronic event board. 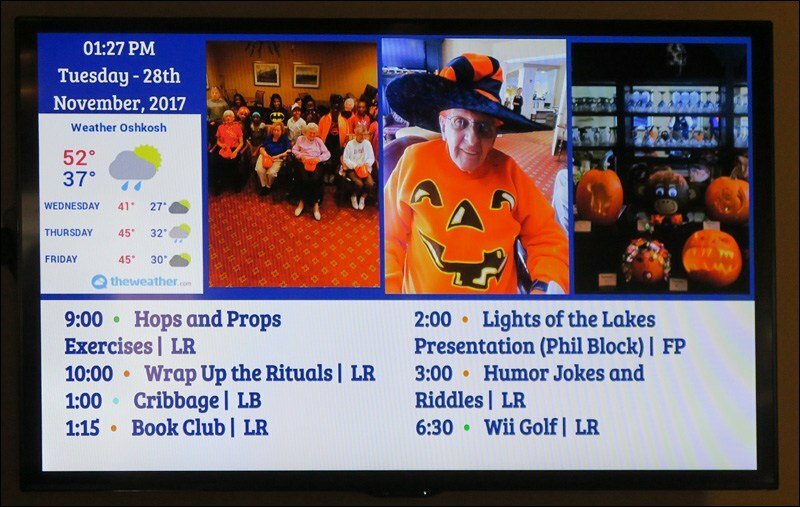 As usual, I was there to present Lights of the Lakes to another group of seniors. I set up in the Lounge, an all-purpose gathering place. Around 20 people came to see today’s show. 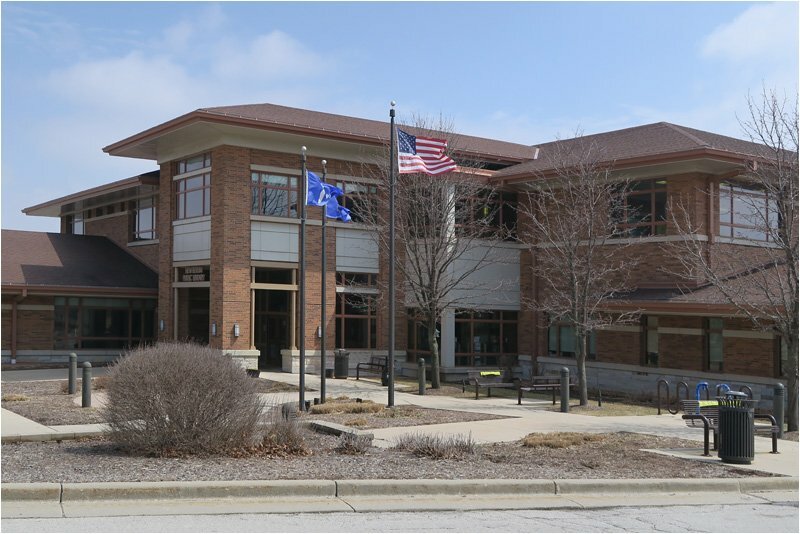 My last show of the month took place on November 30th at the huge Waukesha Public Library. 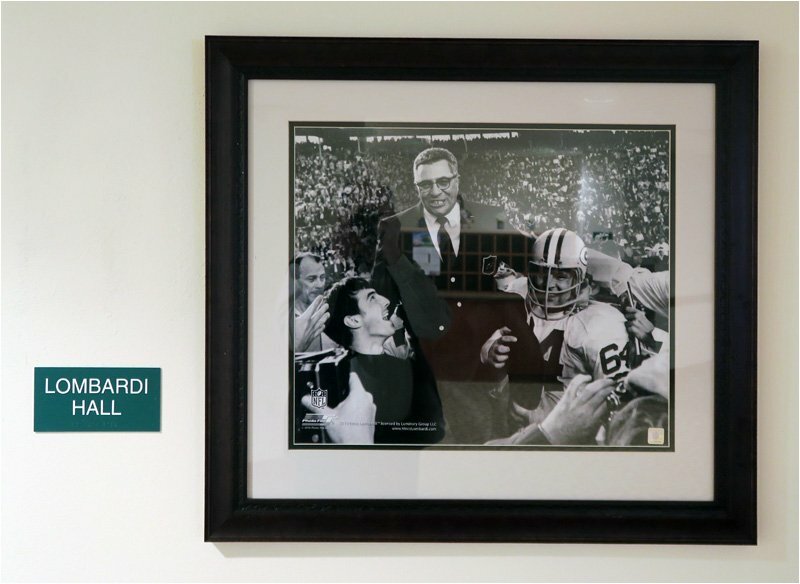 The program had been promoted both online and via posters hung on bulletin boards at the library. The pre-show publicity brought out a good crowd. 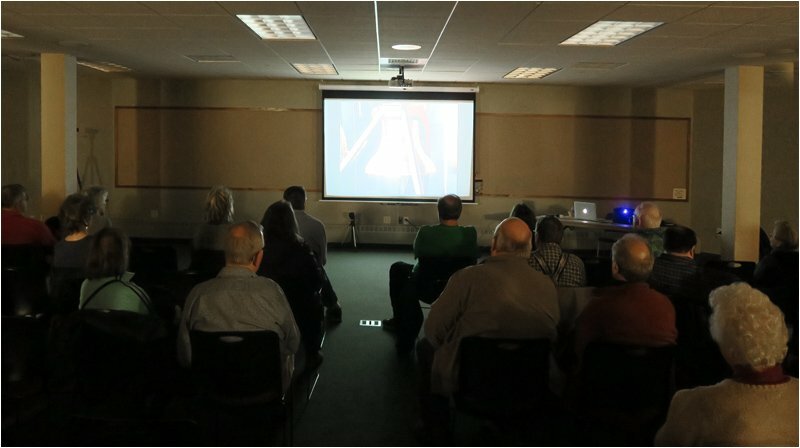 46 people attended the show, and they were a very responsive audience. I love presenting to a group that really gets into the program! Well, that does it. I’ve survived another busy month presenting my lighthouse show. 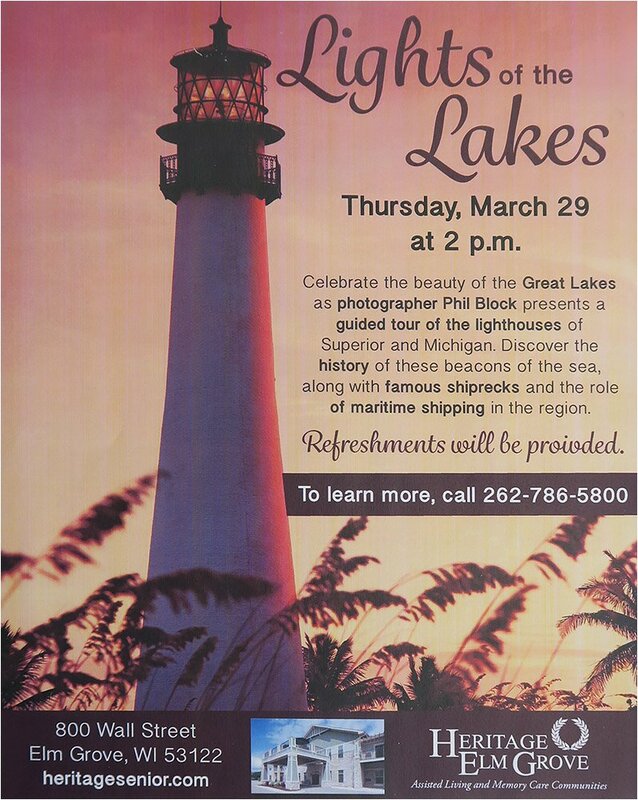 It’s taken me to new places, and I’ve met and entertained new groups of lighthouse enthusiasts. This is one of the rewards of the way I spend my retirement!